Want to know Big Ag’s solution if it doesn’t get the unquestioned support they desire? Just throw out the judge. That’s what is happening now as Monsanto asks for the Appeals Court Judge who ruled against them in Mexico to be removed. Following two separate rulings to ban GMO, Monsanto made an official request for the removal of Judge Jaime Manuel Marroquin Zaleta. The country is currently resisting Monsanto’s attempt to grow GM maize in one of its most important crop zones. If biotech got their way, more than 7000 years of indigenous maize could be ruined. More than 60 varieties would be put in danger through cross-pollination should Monsanto find a way to be above justice. Monsanto is playing with immoral legal tactics to try to overturn not just the decision of Judge Zaleta, but by attempting to remove him from his chair. The biotech company claims that Zaleta stated his opinion on the case before sentencing. Last December, Judge Marroqun Zaleta threw out the appeals of Mexico’s SEMARNAT (Environment and Natural Resources Ministry), and Monsanto who were trying to play legal quackery again – by overturning a ruling from September – also disallowing GM maize planting. Acción Colectiva is a concerned group of 53 scientists and 22 organizations that fruitfully brought the case against GMO and Monsanto to ban genetically modified maize. Part of the reason Monsanto fights against this particular judge is because this decision cemented a first judgment, sending Monsanto and its government lackeys a message that they couldn’t wrongly influence the Mexican courts. The Mexican government previously allowed trial crops of GM maize to be planted in 2009 before an earth-shattering decision made in September by the Twelfth Federal District Court for Civil Matters of Mexico City. Judge Jaime Eduardo Verdugo J. cited “the risk of imminent harm to the environment” as the reason behind his decision. Little has even been said about the harm to human health – but it is a start, and at this point any way to get Monsanto out of a country is a good one. 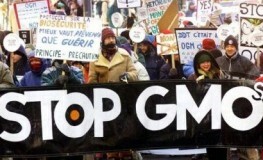 The Mexican government seems to have a stronger backbone to fight Monsanto than even our own. We applaud them. The ban of GM maize will remain until the appeals court makes a new ruling on Monsanto’s ridiculous claim. If anyone should be Removed, it should be Monsanto – YES, Removed from the Face of the Earth! Mexican citizens should be proud of Judge Marroqun and Judge Jaime Eduardo Verdugo J.! Congratulations to these two judges. They are truly caring, ethical, and very fair individuals who were not swayed by ” Monsanto – the “Devil in Disguise”! Monsanto has revealed it self as the FASCIST organization that it truly it. Fascism is corporate rule and this is a perfect example of Monsanto’s Fascist agenda. beings being poisoned with polluted food, air, and water? I would say not long. We are at the tipping point. The amount of pollution and mass kill off of surface food is already way over the limits for health. Just say No and stand up for your rights, the time is now. Hopefully the Mexican courts and the Mexican people will stand their ground against this conniving company. Monsanto’s only interest is to sell their poisonou$ chemical$ to the world, not caring who or what they hurt. Well done, Judge Marroqun Zalet, and Judge Jaime Eduardo Verdugo J.!! Con Mucho Gusto! Let Monsanto and Co have their own domed city. Allowing none of their filth to escape. We demand the removal of Monsanto from the planet.